German-owned supermarket ALDI Australia has welcomed the Australian Government’s finalisation of the Food and Grocery Code of Conduct and announced that it will be signing up to the Code as a party. 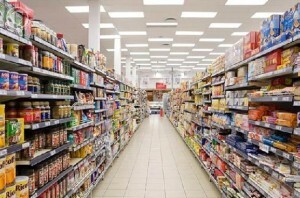 The Australian Government has introduced the Food and Grocery Code of Conduct, which has been more than two years in the making, saying that the Code will help to “ensure fair and transparent commercial dealings between retailers, wholesalers and suppliers” in the Australian grocery sector. The Competition and Consumer (Industry Codes—Food and Grocery) Regulation 2015 was prescribed as a code on Thursday 26 February 2015. Federal Minister for Small Business, Bruce Billson, said the Code “will ensure that relationships between retailers and suppliers are built on good faith and help them work together to achieve positive outcomes for the health and vitality of our grocery sector and the good of Australian consumers”. An ALDI Australia spokesperson said the supermarket group “has always supported the principle of a strong and sustainable Australian grocery industry for both suppliers and retailers, with an emphasis on fairness throughout all business dealings”. “For its part, ALDI is known for its excellent relationships with suppliers. The benchmark industry supplier survey consistently rates ALDI as retailer of the year as well as the highest net rating for quality of relationship,” the spokesperson said. ALDI said the provisions of the Code reflect ALDI’s current practice with suppliers: forging long term, stable, sustainable relationships and working closely in partnership to provide Australian shoppers with high quality products at permanently low prices. “For this reason, ALDI is happy to sign up to the Code and support the efforts of the Government and the industry overall in promoting high standards of business conduct,” the ALDI spokesperson said. dispute resolution mechanisms to assist suppliers in resolving disputes. The Code is comprehensive and covers contractual dealings such as supplier funded promotions, labelling, shelf space and positioning, intellectual property and payments for wastage. The Code will only bind those retailers and wholesalers that agree to sign on to the Code. Suppliers are automatically covered by the Code. The ACCC enforces compliance with the code. As a prescribed code under the Competition and Consumer Act 2010, the Australian Competition and Consumer Commission (ACCC) will be able to take enforcement action for breaches of the Code by the retailers and wholesalers who have signed it. The Code does not override the existing provisions of the Competition and Consumer laws but will improve the transparency of commercial dealings in the sector. This will help to prevent instances of unconscionable conduct, and enhance the ACCC’s capacity to take action against misleading or deceptive conduct and misuse of market power. The Code will be reviewed three years after commencement. Minister Billson said the Government was “committed to ensuring Australia is the very best place to start and grow a business”. He said that when businesses become signatories to this code, they “are signalling their commitment to growing Australian business, ensuring healthy competition, and undertaking best practice commercial behaviour”. The ACCC has welcomed the introduction of the Food and Grocery Code of Conduct, saying the voluntary Code “provides a clearer framework” for dealings between retailers, wholesalers and suppliers. According to the ACCC, the Code complements existing protections for suppliers under the Competition and Consumer Act 2010, including the unconscionable conduct provisions. “Businesses that supply groceries to major retailers and wholesalers will have extra protections under the new industry code,” said Rod Sims, ACCC Chairman. Mr Sims said the code also provided new powers for the ACCC. “Once retailers and wholesalers sign up to the code, we will be able to enforce it and take court action for breaches,” Mr Sims said. “We will also be able to audit retailers and wholesalers to check that they are complying with the code,” he said. “Coles, Woolworths and the Australian Food and Grocery Council worked closely to develop the code. We expect these retailers will sign up to it shortly,” Mr Sims said. Mr Sims said there can be a “significant imbalance” in bargaining power between suppliers and large grocery retailers and wholesalers. “The code seeks to limit some of the conduct that was brought to the ACCC’s attention during our supermarket suppliers’ investigation,” Mr Sims said. “The new code, together with the recent Court judgment that Coles acted unconscionably, makes it clear that no matter how much bargaining power a retailer holds, they must deal with their suppliers fairly,” he said. The ACCC has developed guidance material on the code, which is available at Food and Grocery Code of Conduct. The ACCC has encouraged any suppliers experiencing issues with their retailers or wholesalers to contact the ACCC for a confidential discussion. The Australian Food and Grocery Council has also welcomed the announcement of the Food and Grocery Code, saying it is an “historic step towards levelling the playing field” for food and grocery suppliers in their transactions with the major supermarkets. AFGC CEO Mr Gary Dawson welcomed the announcement by the Minister for Small business Bruce Billson as “integral” to achieving a meaningful and enforceable Code that will drive behavioural change to encourage fair and effective competition in the long term interests of consumers. “We congratulate the Government for progressing the Code as an industry-led solution to problems impacting on suppliers and consumers,” Mr Dawson said. “The Code was developed initially through negotiations with Coles and Woolworths, and it was their willingness to come to the table and develop a meaningful Code that made it possible,” he said. Mr Dawson said that once in place the Food and Grocery Code of Conduct would “set clearer rules of engagement”. “It provides a real opportunity to drive changes in behaviour and be a real circuit breaker in retailer-supplier relations by entrenching new standards of behaviour including at buyer level,” Mr Dawson said.